Healthire’s been working on weapon improvements like the target indicator on this missile launcher. Here’s a new tenant from an upcoming biome. 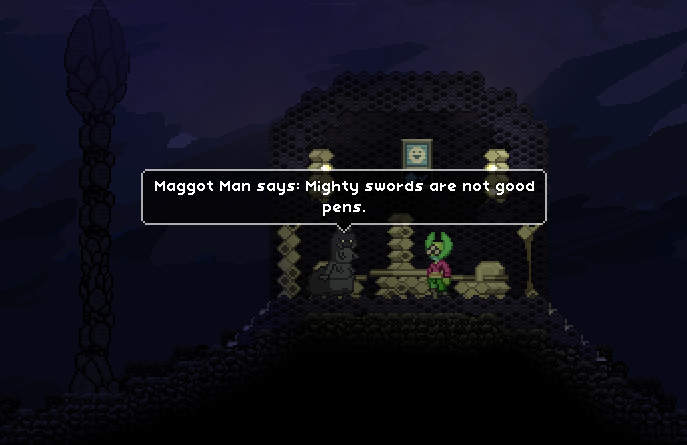 His name is Maggot Man, and he thinks he’s really good at advice!